Arsene Wenger is in the final year of his managerial contract with Arsenal and questions have been emerging in relation to the future of the French coach if he will be offered yet another contract extension or if he will be finally making his way out of the Emirates Stadium where he has stayed in for over 20 years. The 67 year old manager is a coach that has been able to keep Arsenal in the top 5 spots of the Premier League for the past years which is a very impressive thing to accomplish in every single season. However, there are many supporters of Arsenal that want to see the club aiming for bigger pieces of silverware and one of the titles that fans of the English outfit want to see them win is the Premier League which they have not done since the season of 2003-04 as those fans aren’t happy to see Arsenal settling in the top 5 for so many successive years. 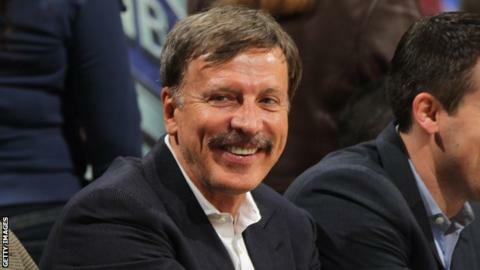 Stan Kroenke is an American business entrepreneur and the largest shareholder of Arsenal. The 69 year old businessman has recently talked about Arsene Wenger as Stan said that he wants the French manager to continue being in charge of the club even if they have not won a major piece of silverware in a significantly long period of time. ‘’Arsene has always done that and Arsenal has always been in that position. We have always been competitive.We may not always win the things we want to win. We are very focused on winning for sure the league. Arsene’s been consistently at the top and I will tell you; it’s very, very hard to do if you look around sports.” Stan Kroenke said as he praised what Wenger has accomplished with so many consistent years at the top of the Premier League which is something not easy to accomplish. If Arsenal does indeed offer a contract extension to Arsene Wenger, the French manager has already stated that he will respond to that only at the end of the season as he just wants to focus on the Premier League and nothing more.